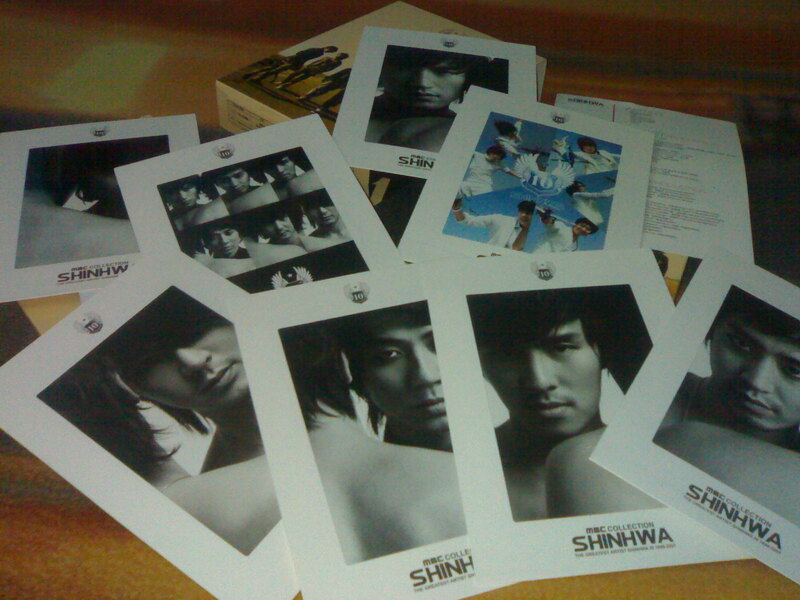 2 weeks ago i finally got my Shinhwa the Greatest Artist 1998-2007 DVD. 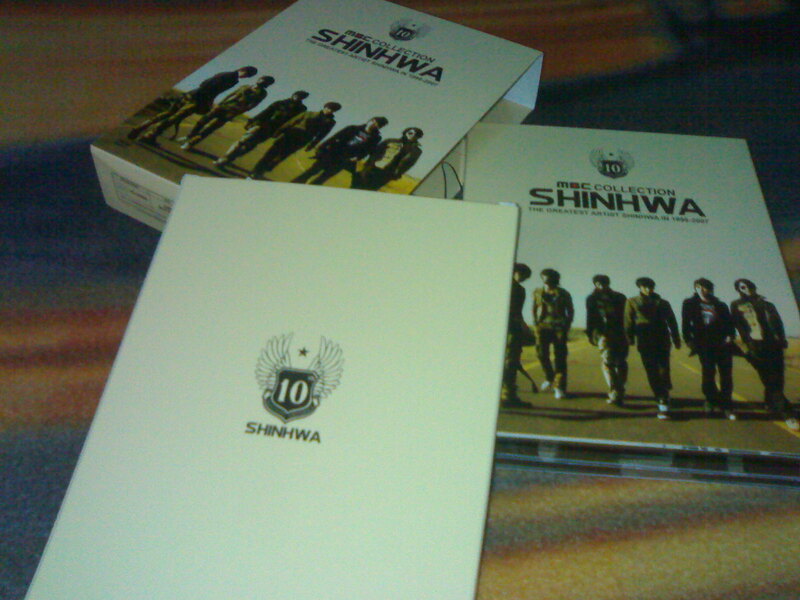 Here’s the pictures i have taken..
Here’s a picture of my Shinhwa 9th Album Special Limited Edition. 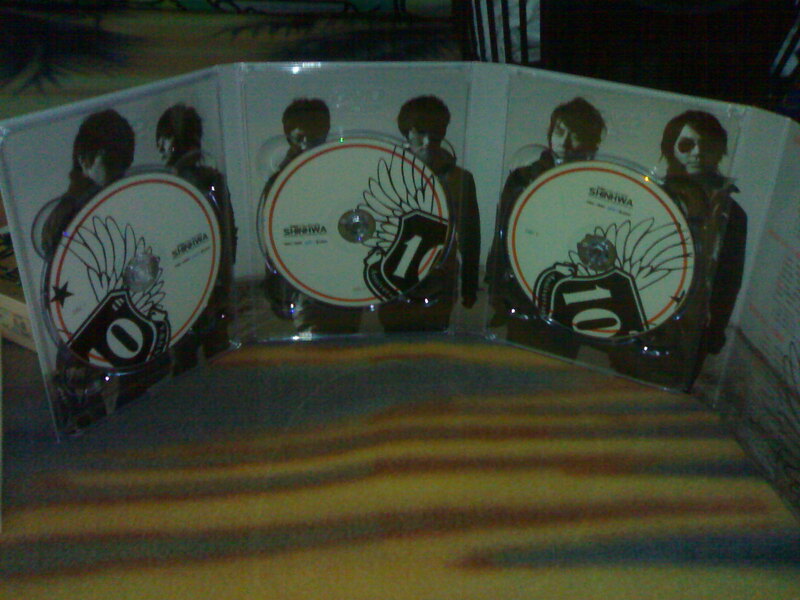 ^^ Still wasn’t able to get my copy of their 9th Jib White Edition (Repackaged Limited Edition). Hopefully i can get it next week. As for the dramas i’m watching…. Everytime i’m watching this drama i always get annoyed with the evil…hypocrite…obssessed character, Subin. Looking forward on the day when Subin’s evil acts will be exposed.. 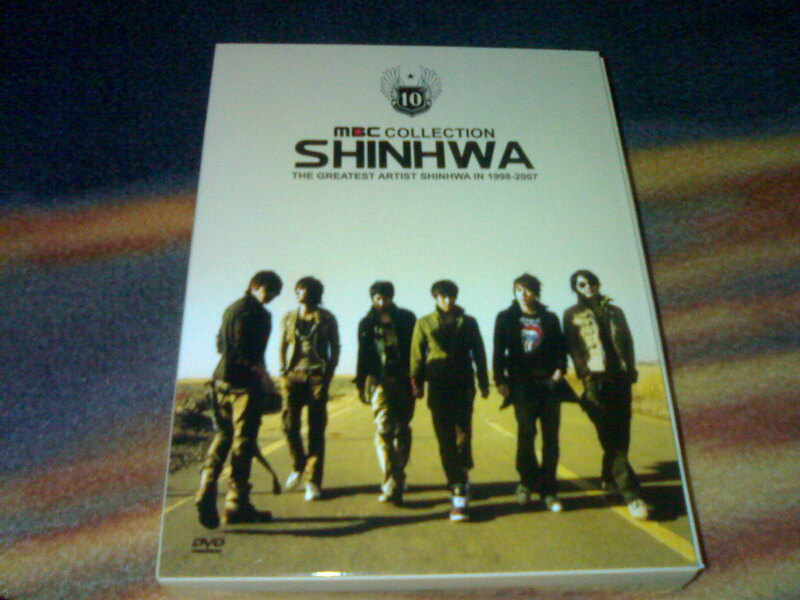 I love this drama mainly because of Kang Ji Hwan, hehe! ^^ I’m really anticipating this drama ever since and i even bought a copy without english subtitle and it’s in mandarin audio, hahaha! 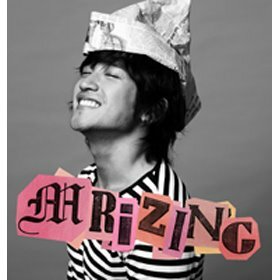 that’s how much i love kang Ji hwan. Actress Moon Geun-young started her acting career at the age of 12 in a low budget film “On the Way” in 1999. The aspiring actress then appeared as the young Eun-Seo in the hit drama “Autumn in My Heart” the following year. Although Moon only appeared in her first shows as the younger characters of already famous actresses including Song Hye-gyo in “Autumn” and Lee Mi-yeon in “Empress Myeongseong (2001),” she left an impression among the Korean public as A young, pretty actress who could act. Soon along, she started to play the heroine in films and dramas, and eventually became known as “Korea’s little sister,” especially with her cute role as the young bride in the movie “My Little Bride (2004)” co-starring with heartthrob Kim Rae-won. “The Painter of Wind.” Dressed in a long navy gown, she waved to the cameras with her trademark shy yet ravishing smile. “It feels awkward in a dress, I’m so used to being a man. Even my voice seems to be more like a boy than a girl,” she said laughing. Moon plays legendary artist Shin Yun-bok, while star actor Park Shin-yang will act as fellow artist and mentor Kim Hong-do. Based on the bestselling novel of the same title by Lee Jung-myung, Shin is born as a girl, but due to restrictions of education and other activities among women, she lives as a man her whole life, later finding herself in love with her tutor Kim. “I’m more used to Western paintings, but I got to learn so much about Shin and Korean traditional paintings through the drama. I learned painting both in practice and theory, and I came to realize how hard it is to paint with a brush. Large strokes are easy, but it’s so hard to show thin lines and describe the smallest details. But that was what Shin did best during his time,” she said. Painting was not the only thing Moon learned through the drama: she learned to tone down her image from the usual fun and bright to a more romantic and mysterious. “I chose this work because I like the calm and mysterious atmosphere. I didn’t want to be called `Korea’s little sister’ anymore. When we first started shooting, I think I tried too hard to change my cute image. But now, I’m more comfortable. I’ve learned to respect my assets and try out for new ones steadily,” she said. From a young empress to a high school bride and now a painter, Moon is up to the task, both as a favorite among television and movie fans and also as a talented actor who can bring a character into life in her own style. “The Painter of Wind” airs today at 9:55 p.m. on SBS. Upcoming TV drama “Painter of the Wind” has been sold to Japan prior to its airing in Korea. The drama’s sales representative, SBS Production, announced that it has agreed to sell the broadcasting rights of “Painter of the Wind” to Japan’s top entertainment group and import distributor Avex Entertainment for about 2 million U.S. dollars. SBS Production anticipates more revenues from this highly anticipated TV series, for it has not sold the full package, which includes the original sound track, behind-the-scenes footage, and other merchandising rights, but only the broadcasting and DVD distribution rights. Starring one of Korea’s favorite actresses, Moon Geun-young, “Painter of the Wind” is about a pair of brilliant painters in the late Joseon Dynasty. It’s a historical drama that promises to show the rich details of an extravagant period piece, as well as a tightly woven plot involving a murder and a hidden identity. The first episode is scheduled to air on September 24th and the ensuing episodes will be shown on Wednesdays and Thursdays.